Lightweight fabric with crinkled yarns causing a crepe-like feel. 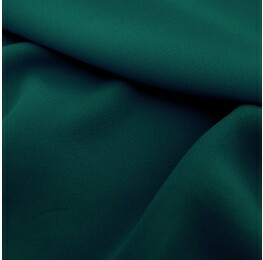 This lighweight fabric has a crepe-like feel due to its highly twisted yarns causing the fabric to crinkle. Sheer in quality, this garment drapes well and has a delicate feel against the skin. Ideal for dresses, blouses, scarfs and overlays.